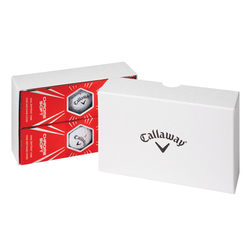 The Callaway 2-Ball Business Card Box allows you to promote business and your company's logo. 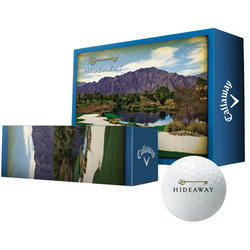 The box is able to hold two custom logo Callaway golf balls and has a clear window for you to insert a business card. Boxes available in black or white. 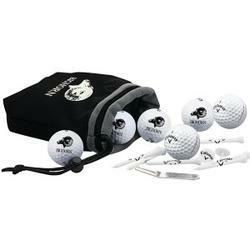 The Callaway 6-Ball Box has six logoed Callaway golf balls of your choice packed in two standard sleeves. 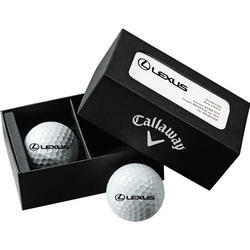 Boxes available in black or white. 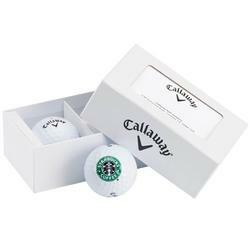 Callaway udesign is a new golf ball packaging program from the game’s leading innovator. 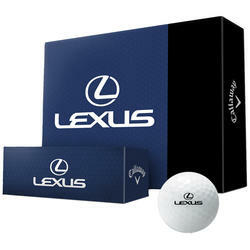 Add your logo, images and message to golf ball packaging specific to your brand or event.A WIDE VARIETY OF OPTIONSCreate a unique design by selecting one of our templates.Choose from our standardized color palette.Send us your logo, image and text.Approve the design and receive your customized product. 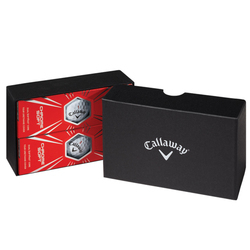 Send your participants home with a fond reminder of your tournament or event with the Callaway Logo 6-Ball Valuables Pouch, a great commemorative gift. 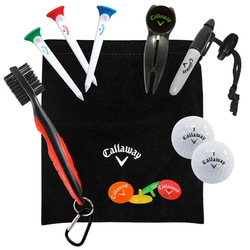 The custom embroidered pouch comes with six logoed Callaway golf balls, six stock Callaway tees, two stock Callaway ball markers, and one stock Callaway divot repair tool.